We know that you have high expectations in your car search in La Guadeloupe. 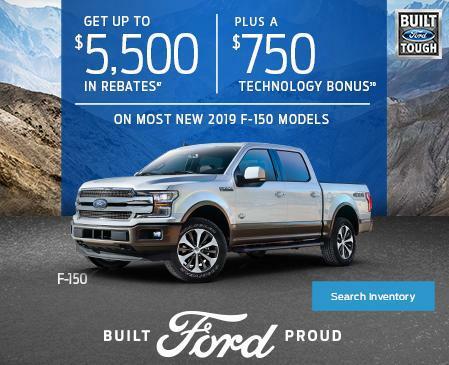 So if you’re in the market for a new Ford, stop by Fecteau Ford. We’re confident we have the right vehicle for you. Here at Fecteau Ford, we enjoy the challenge of meeting and exceeding customer expectations in all things automotive. 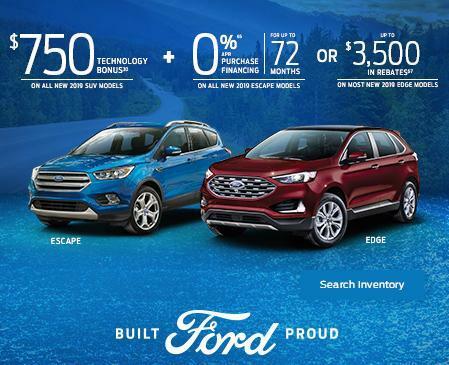 We offer a great selection of new vehicles in our showrooms here at Fecteau Ford. You’ll also find a huge selection of certified pre-owned and used cars of various makes and models. Begin your search by browsing our online inventory. Compare and find deals on Ford cars, crossovers, SUVs and trucks. Visit the various specials pages for the latest incentives and deals. You won’t regret it. Found the car of your dreams? Or simply don’t know what you can afford. No problem! The financial specialists here at Fecteau Ford offer a variety of finance and lease options. They will work with you to find the right loan terms. At Fecteau Ford, we pride ourselves in finding the right payment schedule for customers in La Guadeloupe and the surrounding area. Finally, Fecteau Ford believes in regular maintenance and we want you to believe as well. Thus our expert technicians are here to give the highest quality of service. Need an oil change? No problem! Or your vehicle needs more extensive work? No problem! Soon you’ll soon understand why customers in La Guadeloupe keep coming back to Fecteau Ford for all their automotive needs. At Fecteau Ford you will experience an outstanding car buying experience. We make every effort to exceed your expectations. The Fecteau Ford team listens to you to offer a personalized and unique customer service. All our vehicles are in excellent mechanical and aesthetic condition and offer attractive warranties. 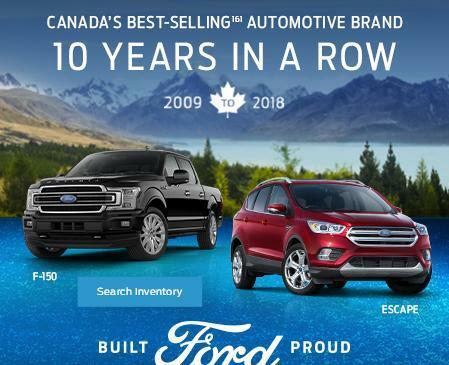 Fecteau Ford offers the complete collection of new Ford vehicles and a wide selection of used vehicles at the best prices. Whatever your budget, Fecteau Ford will help you find a vehicle that suits you. Take advantage of the expertise of our members in all our departments. Our qualified maintenance department technicians will optimize the mechanical performance of your vehicle for the long term. Our aesthetic department will enhance the appearance of your vehicle and help you maintain its resale value. At Fecteau Ford, you enjoy a unique and comprehensive after-sale service. Our advisors are here to answer your questions clearly and honestly. Fecteau Ford also offers a variety of accessories and auto parts at the best price. Talk to our experts about customizing your vehicle. Our website is packed with information. Find the technical specifications of our vehicles in addition to many photographs showing them under all angles. Contact our advisors online for additional information, ask for a Fecteau Ford price or schedule a service by filling an online form. Fecteau Ford is the perfect mix between the experience and dynamism of a passionate team. Visit our website regularly and come meet us at the dealership today!